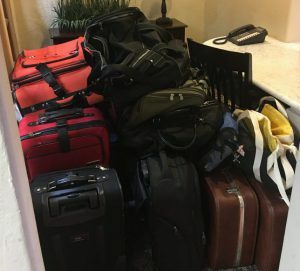 At the end of this month, our Malaga Cove office set up a wonderful donation drive: giving gently used luggage and duffle bags to children in foster care in the Los Angeles county. 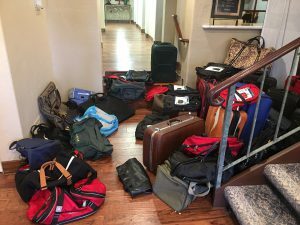 As these children in foster care move (approximately 35,000) from one location to another, they take their few personal belongings with them in, most often, a trash bag. In just a handful of days, the donation pile grew tremendously. 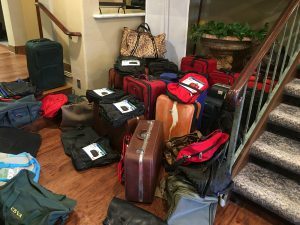 The duffle bags and luggage that were donated will hopefully provide a sense of comfort and give confidence to these young individuals who deserve much more than what we can provide. A piece of luggage is a beautiful start and we hope it will give these children pride in what they have and more importantly, who they are. We would like to thank all of those who donated and a special appreciation to those who coordinated this event, asking us to pause and remember what is truly valuable in day-to-day life. We are grateful to work for a company whose people graciously seek the service of others.